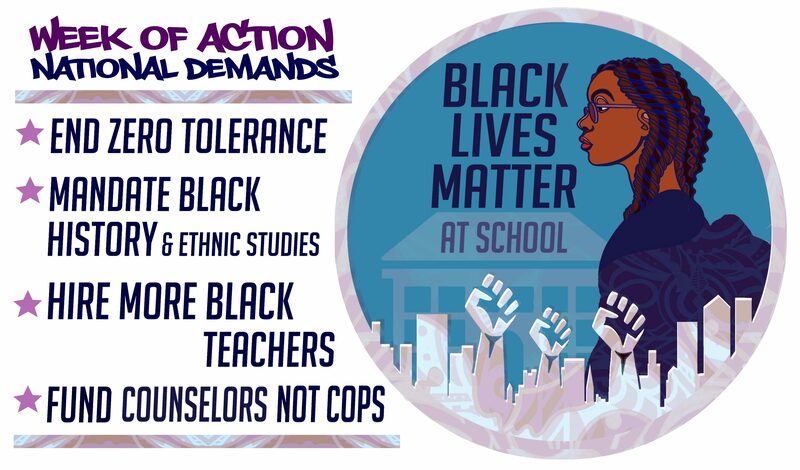 The Creative Challenge is a great way for educators to engage their students in the Black Lives Matter At School week of Action. You can have your students submit artwork, poetry, videos, essays and more that answer the prompt to be displayed online. You can also post your artwork publicly in your school to inspire others to act for racial justice. In addition, we encourage educators to take photos of the work and post with hashtag #BlackLivesMatterAtSchool. Below is the information to last year’s creative challenge and links to the artwork that youth created. Kaleidoscope Club is a after-school learning club centered around equity and inclusion. This week we had a discussion on the 13 principles of Black Lives Matter, and why this movement is so important. Our entire club, which consists of Kindergartners, 1st, 2nd, and 4th graders, participated in the national challenge question and wanted to share their artwork with you.